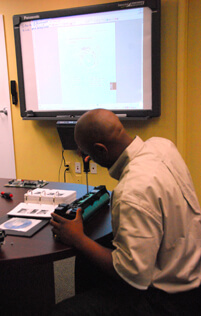 We offer comprehensive operator training and remote support. Did you know that up to 75% of incidents that traditionally require onsite technical support can be resolved within minutes using our COMPLETE helpdesk? Our Helpdesk offers a call-answering, troubleshooting and call-logging service to solve desktop and portable computer issues, using a populated knowledge base to resolve the incident at the first point of contact. Professional and thorough training is essential for new users. Although all Meridian-proposed models have user-friendly interfaces, comprehensive operator training generally reduces possible confusion for end users. Training will be coordinated and provided by a Meridian support representative, either at the time of installation or by appointment. 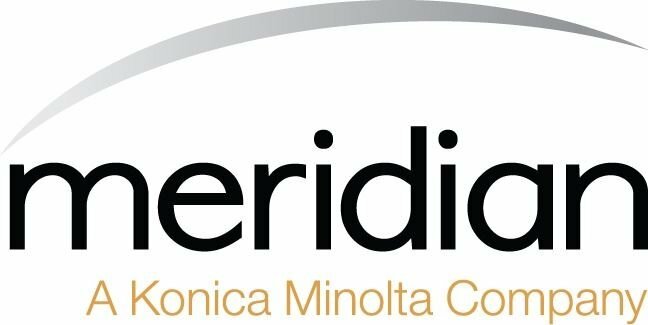 The Meridian support representative will schedule and conduct training of the designated key operator(s) and the casual operators. 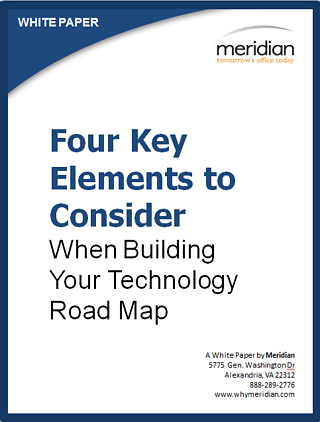 Meridian Fleet Management, or COMPLETE SUPPORT, is a secure software application included during your installation specific to your organization’s document output environment. The information can be leveraged to uncover ways to streamline your processes and provide a customized, print management solution. The Data Collection Agent is installed on a single workstation and runs in the background collecting printing device information at scheduled intervals. 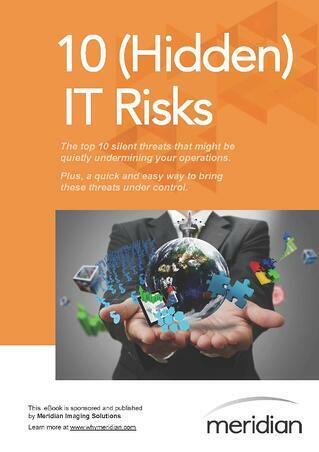 After each discovery, the collected data is securely transmitted to the Meridian Imaging Solutions secure web server. This allows us to continuously track your printing environment remotely, without disrupting your personnel. The installation of COMPLETE is quick, easy and secure. We are very proud of our in-house training program, which serves as an additional measure of quality control. While our technicians are Meridian-certified and manufacturer-certified, these internal courses incorporate a blend of the products and software we provide with actual customer scenarios. Implementing in-house training allows us to continuously gauge the knowledge and comfort level of all of our field service technicians as new products and technologies are introduced to the market. This is just another thing that sets Meridian apart from our competitors. We have an area dedicated to in-house training, for aspiring technicians and ongoing education. 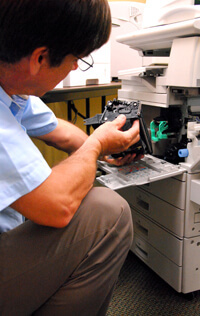 Steve Edsinger has been a certified Ricoh technical instructor for over 10 years. 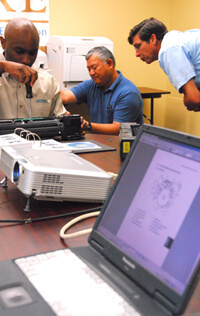 Using state of the art technology as well as a hands-on approach, we take training very seriously. Depending on the nature of the training, a course can last one day or up to six weeks. Our typical class sizes range between two and six students, but generally are on the smaller side of that range. 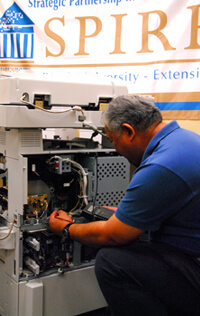 By thoroughly training our own technicians internally, we are able to back our service commitments.